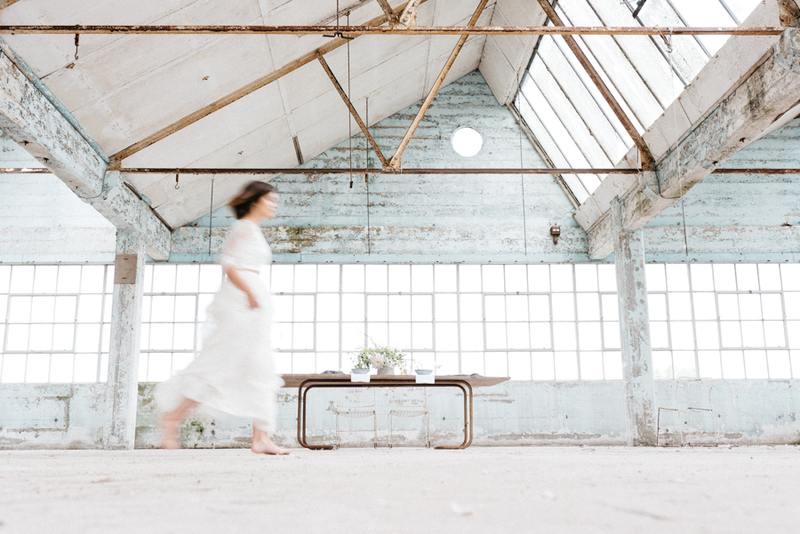 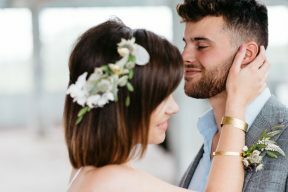 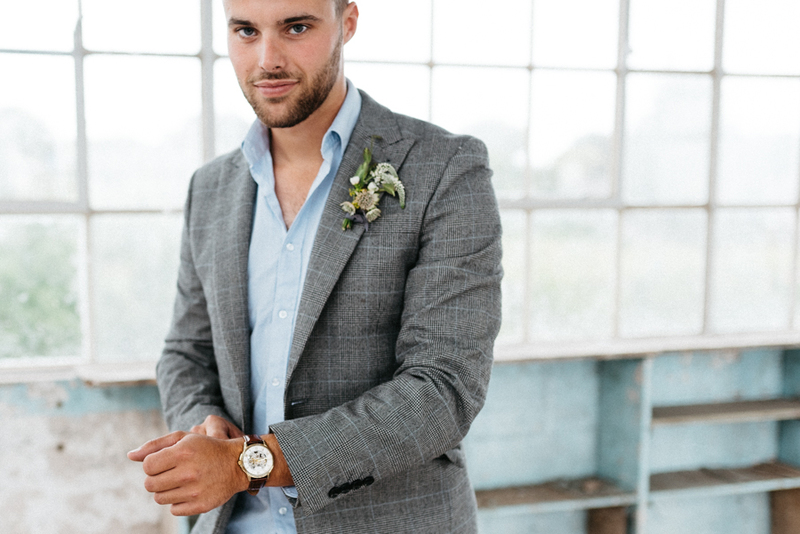 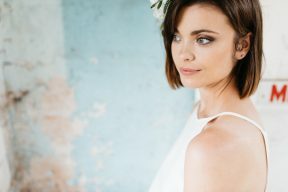 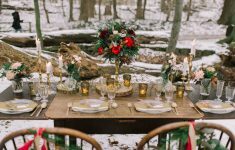 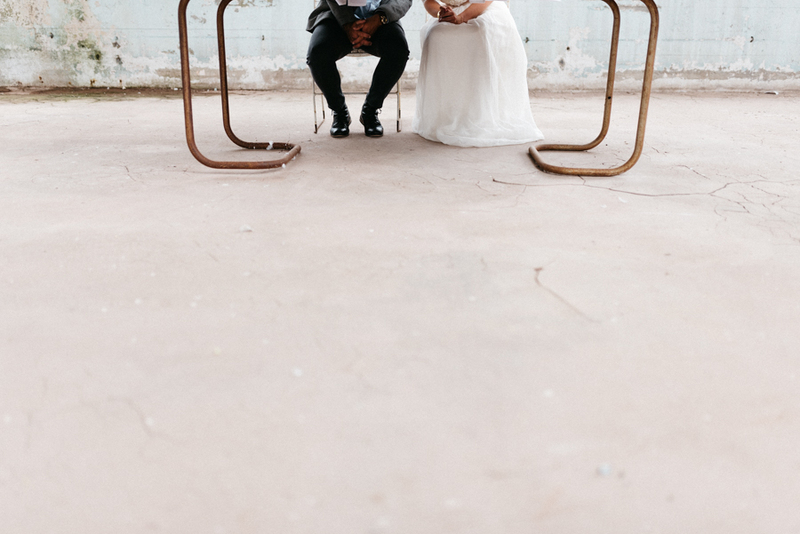 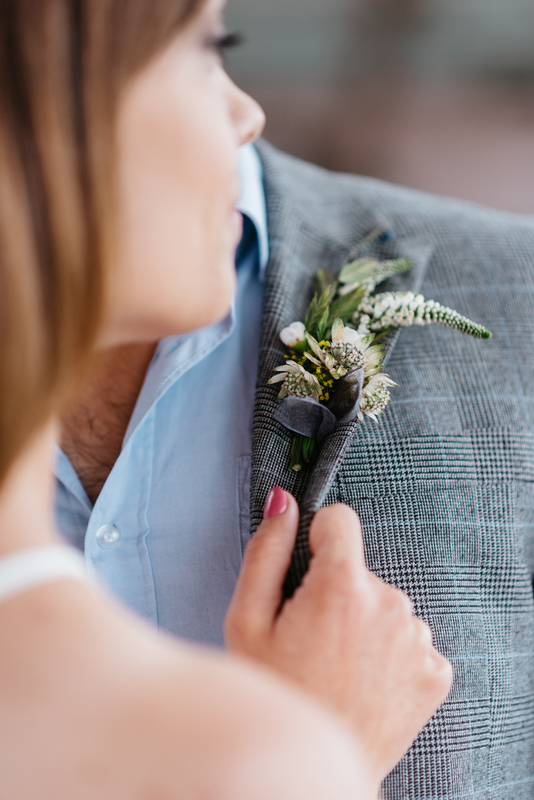 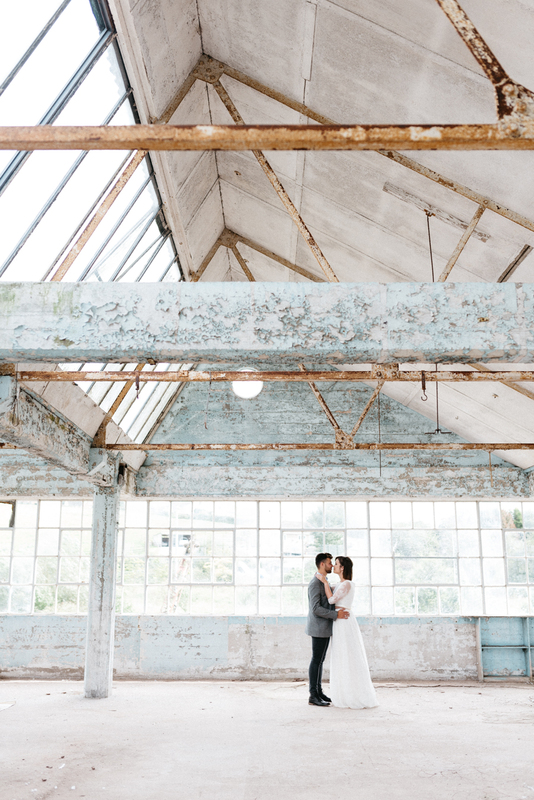 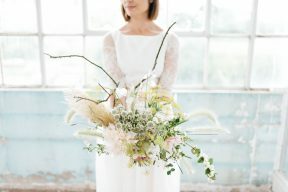 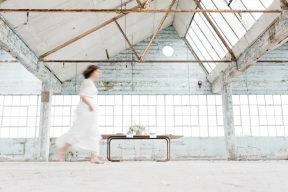 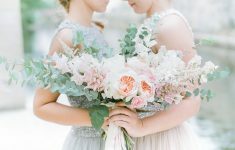 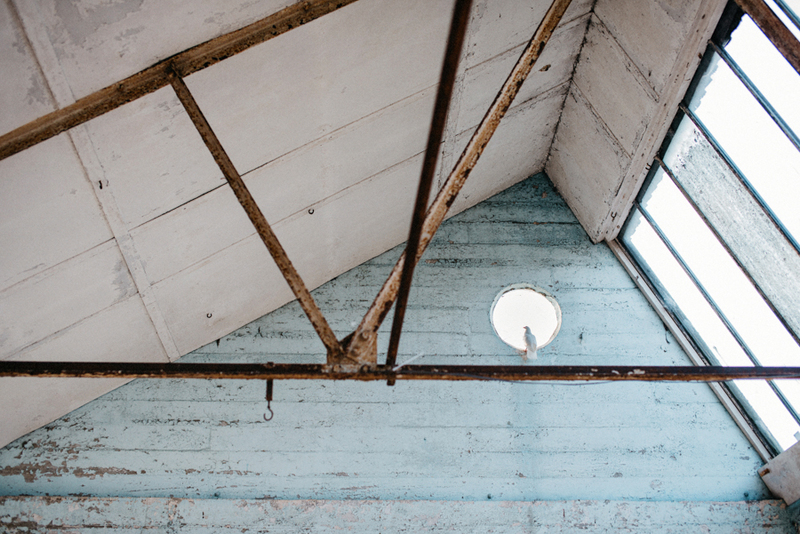 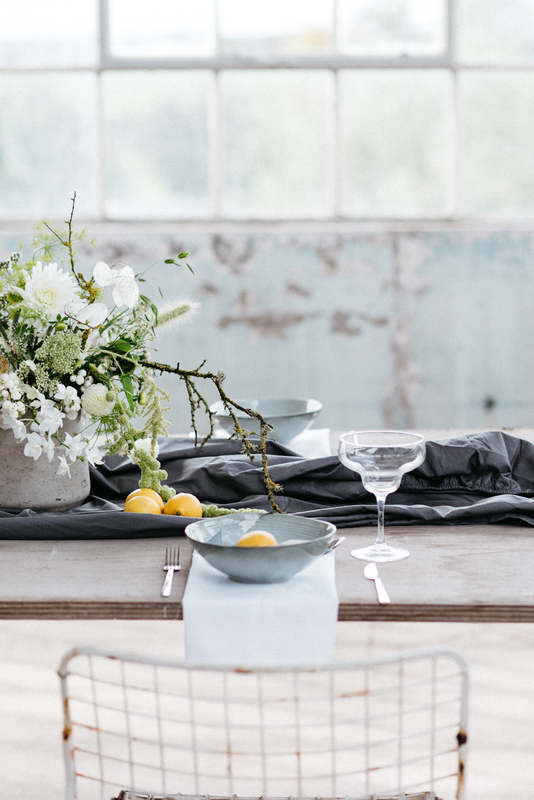 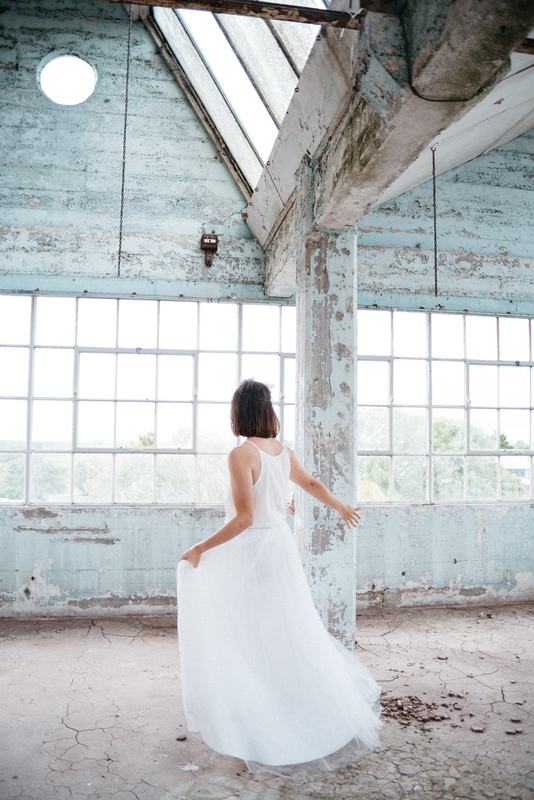 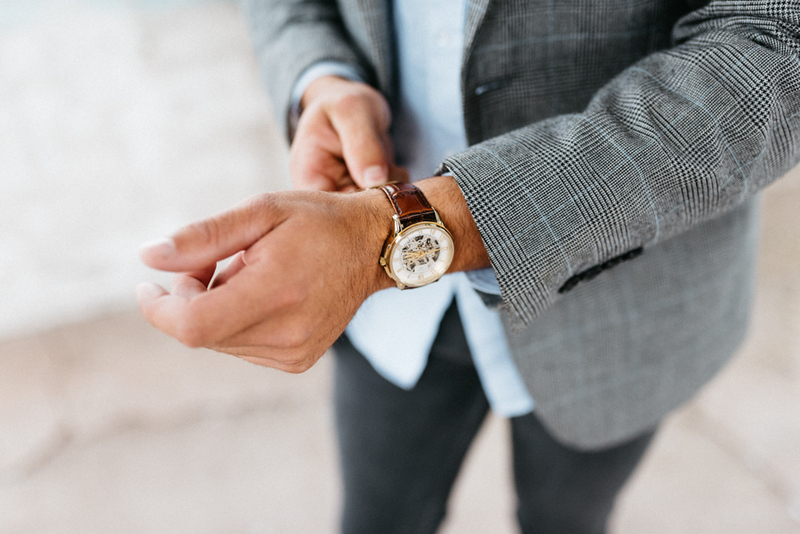 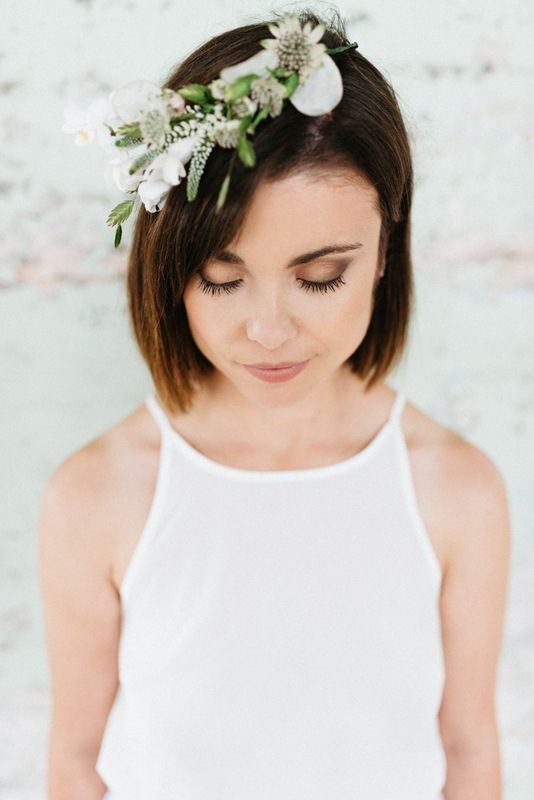 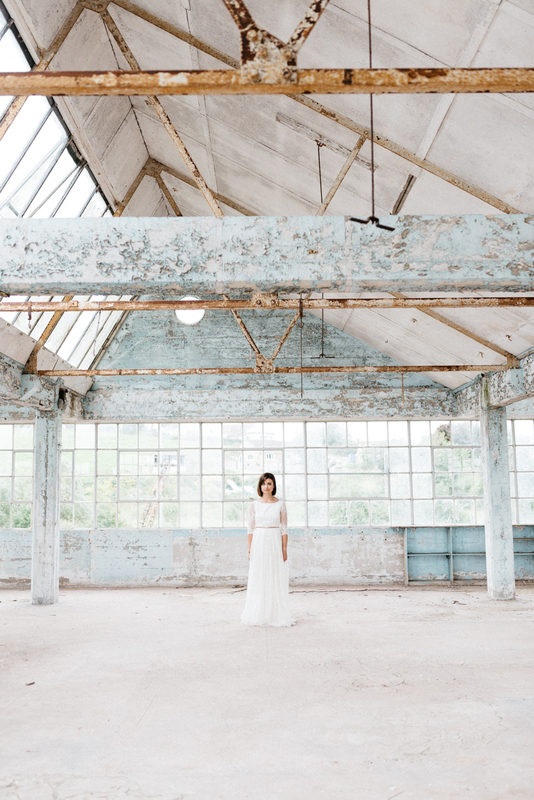 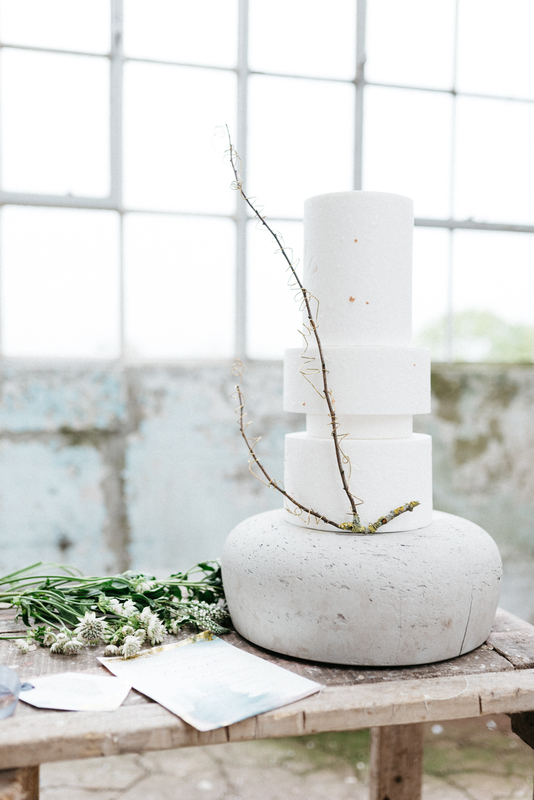 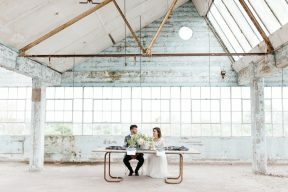 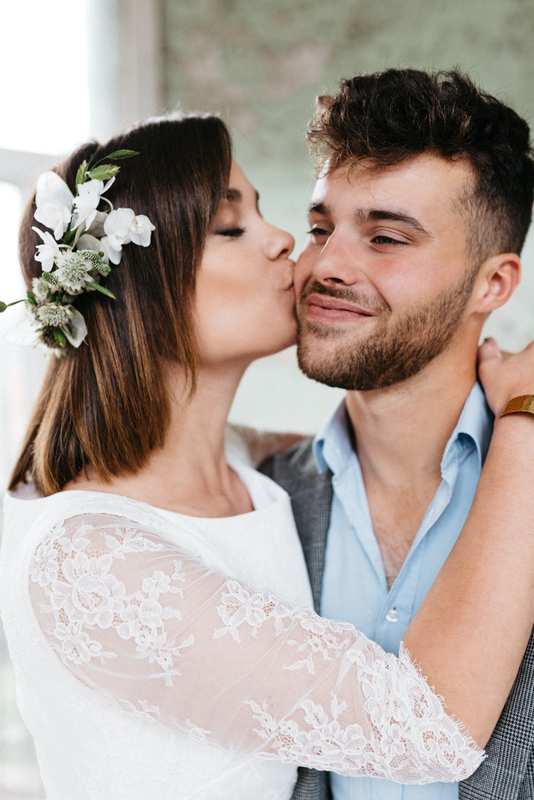 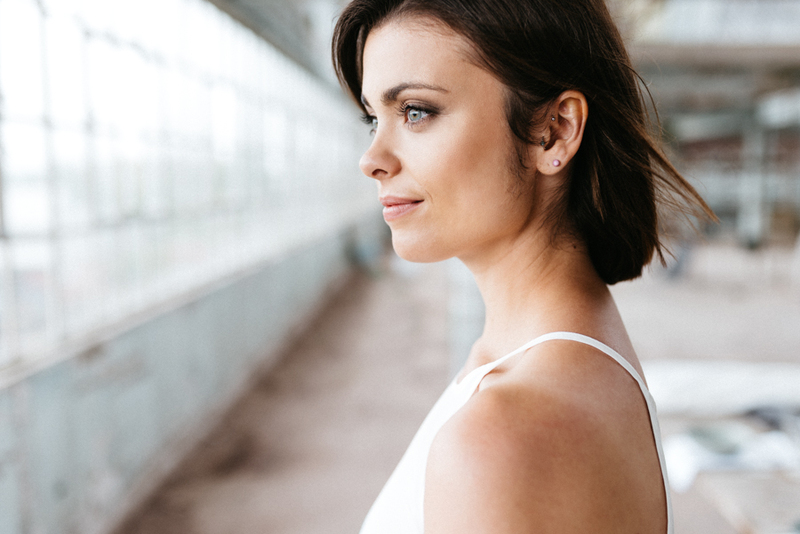 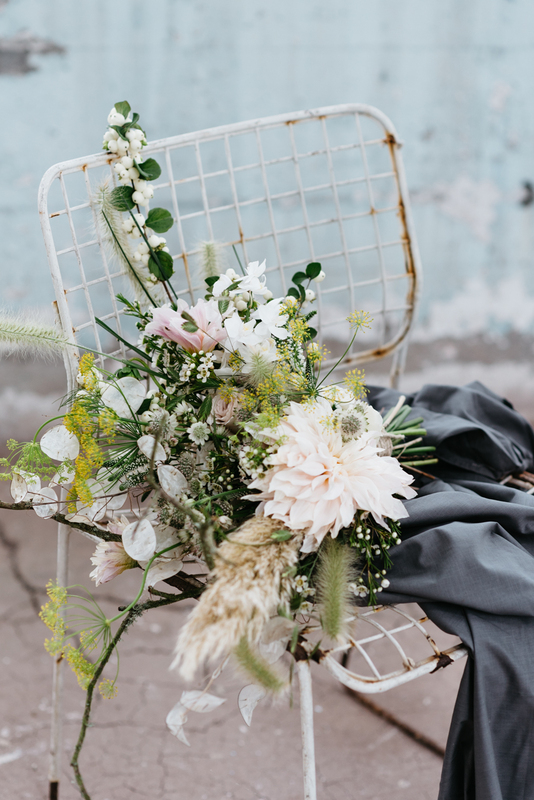 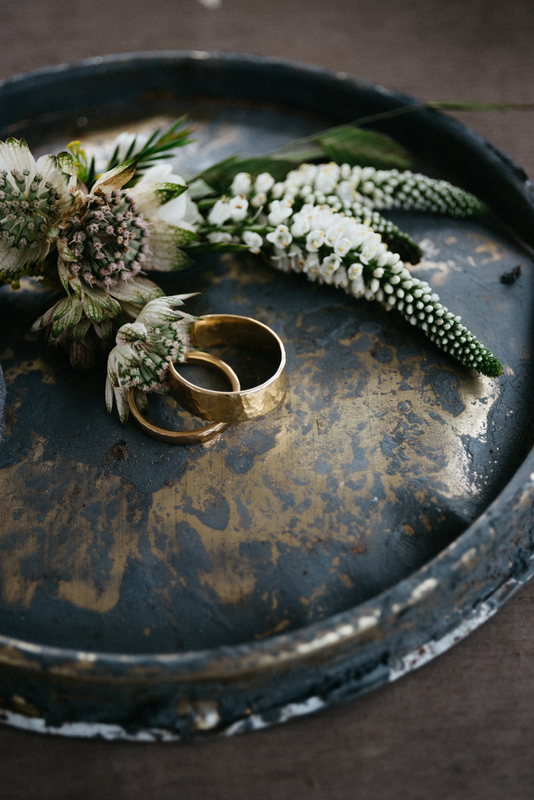 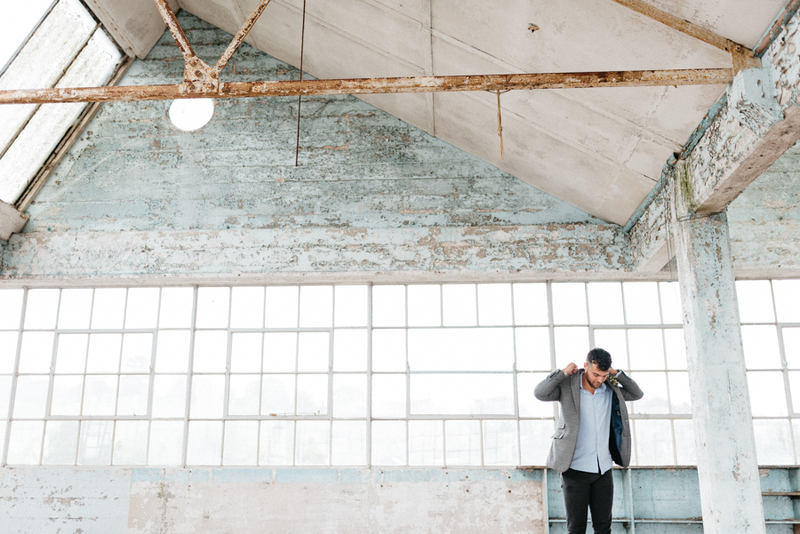 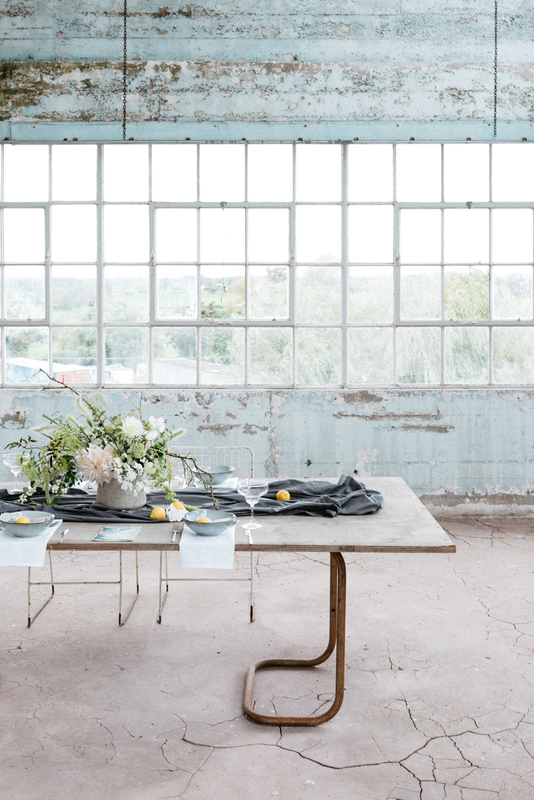 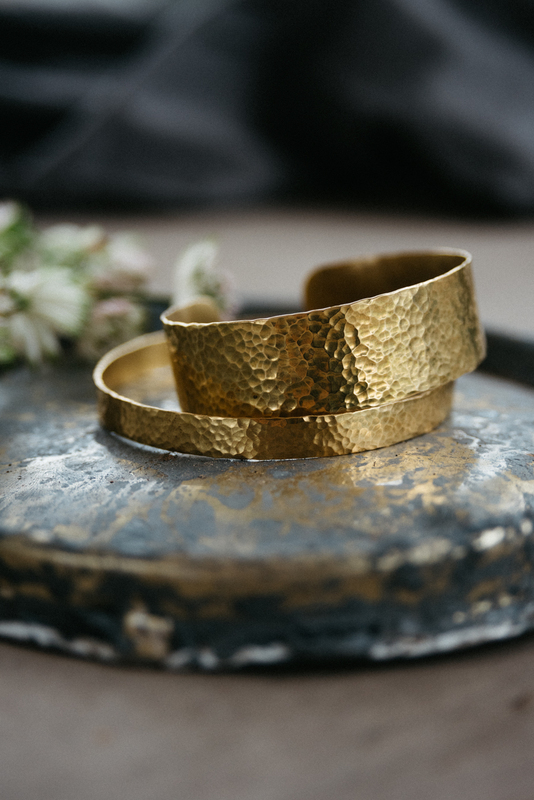 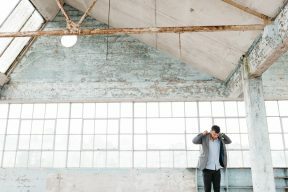 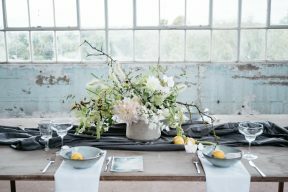 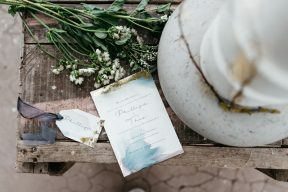 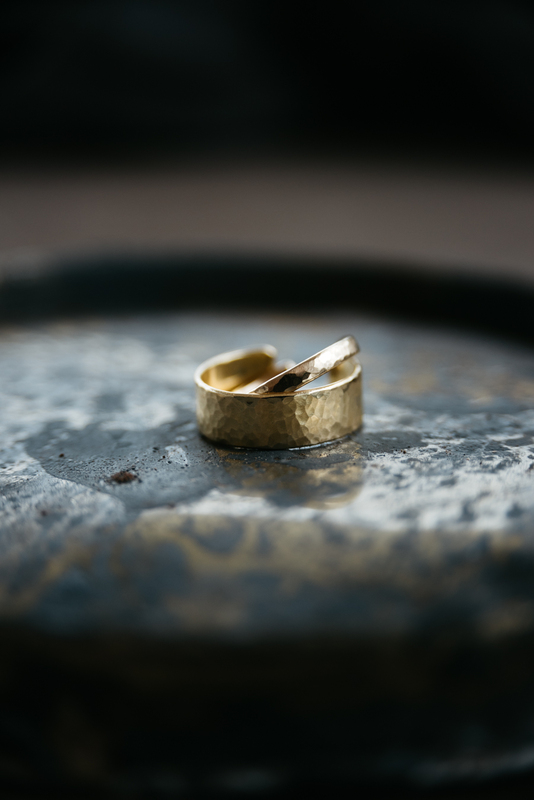 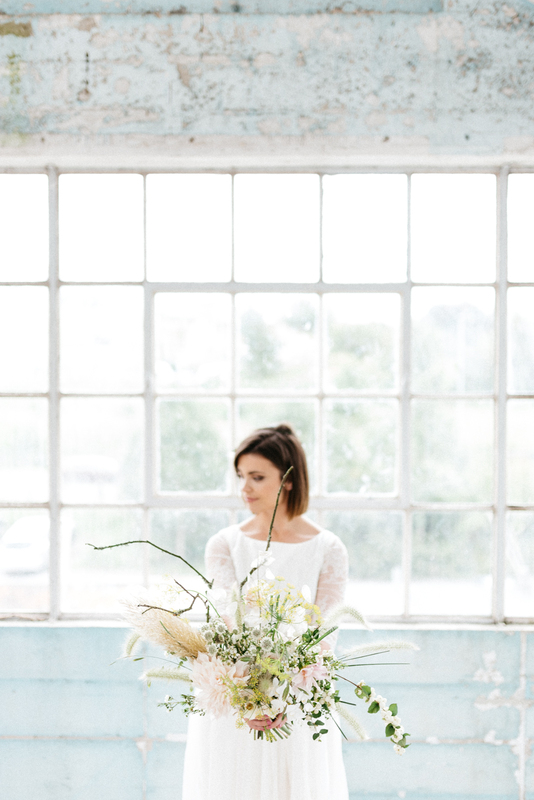 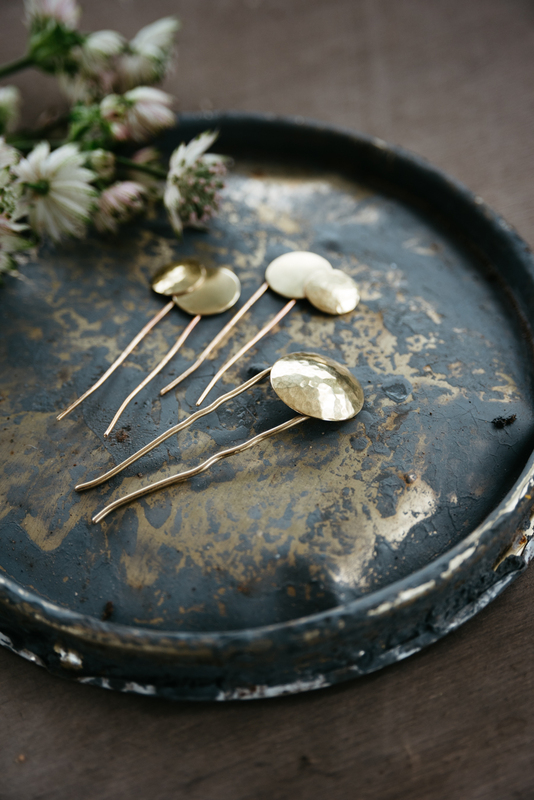 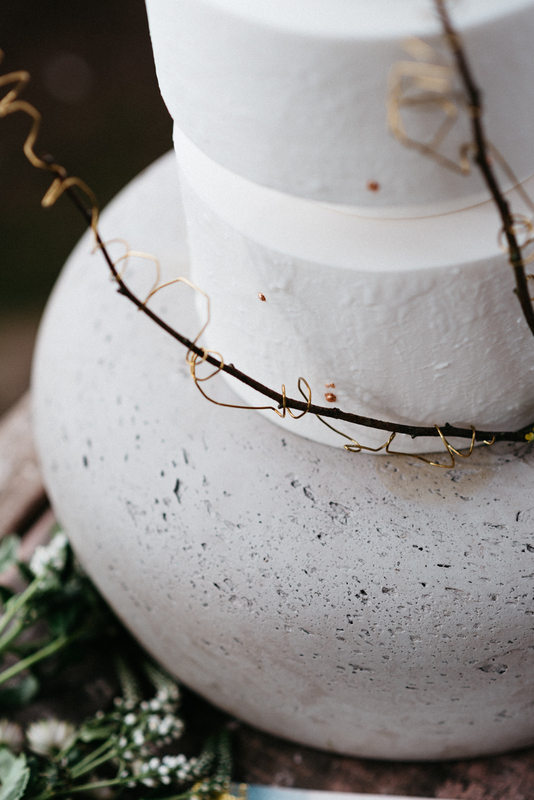 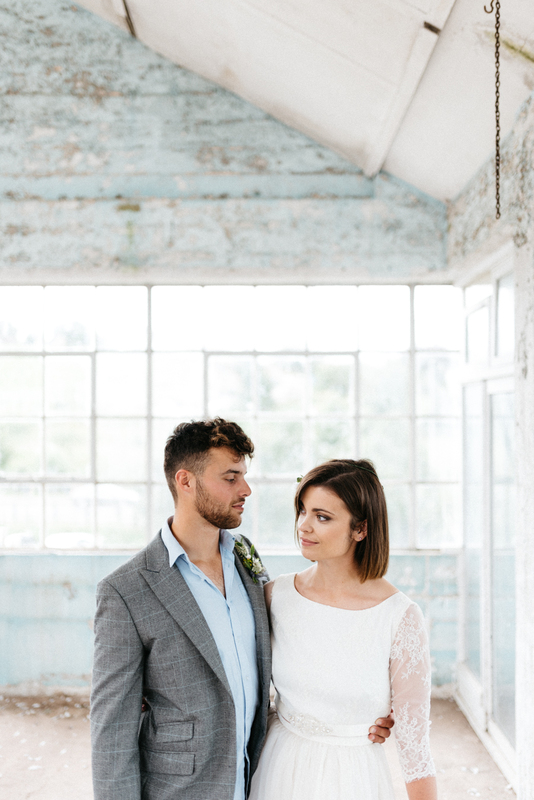 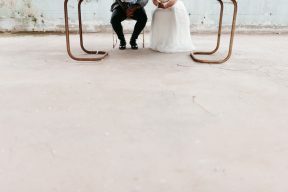 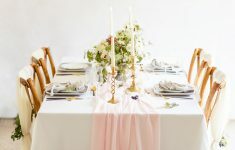 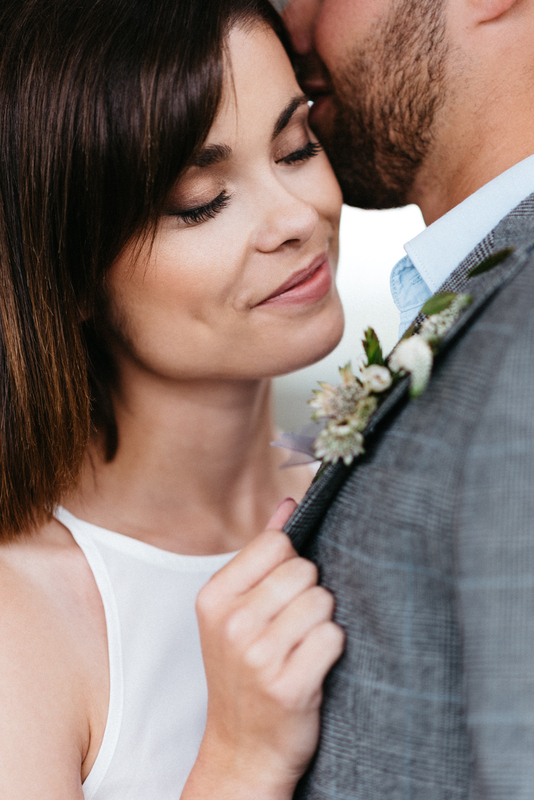 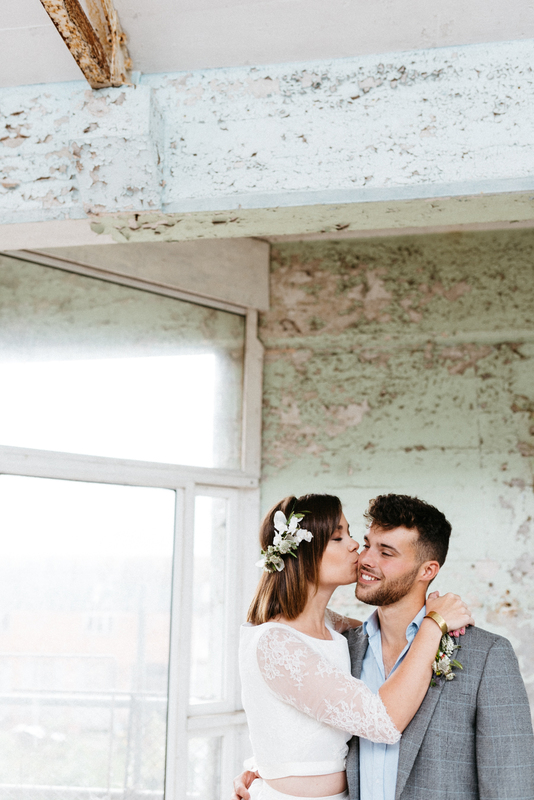 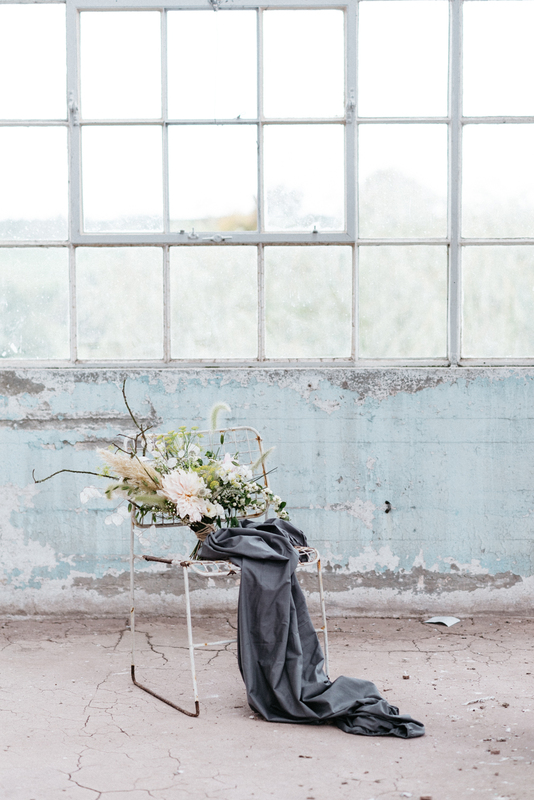 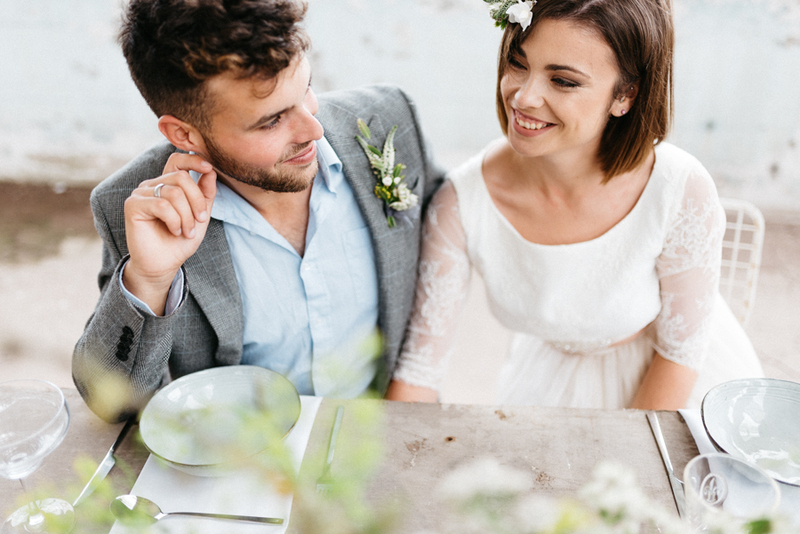 Gracing B.LOVED Blog today we have the wonderful Sophia Veres Photography and this romantic elopement wedding inspiration with an Industrial setting and style. 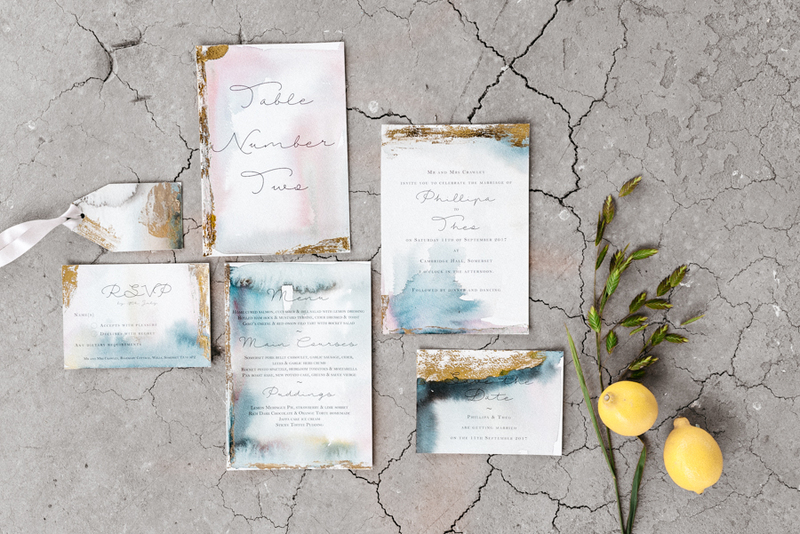 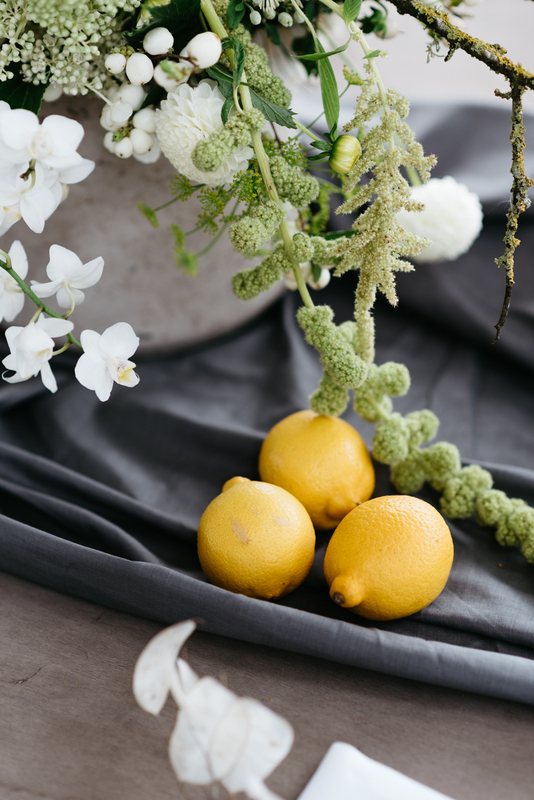 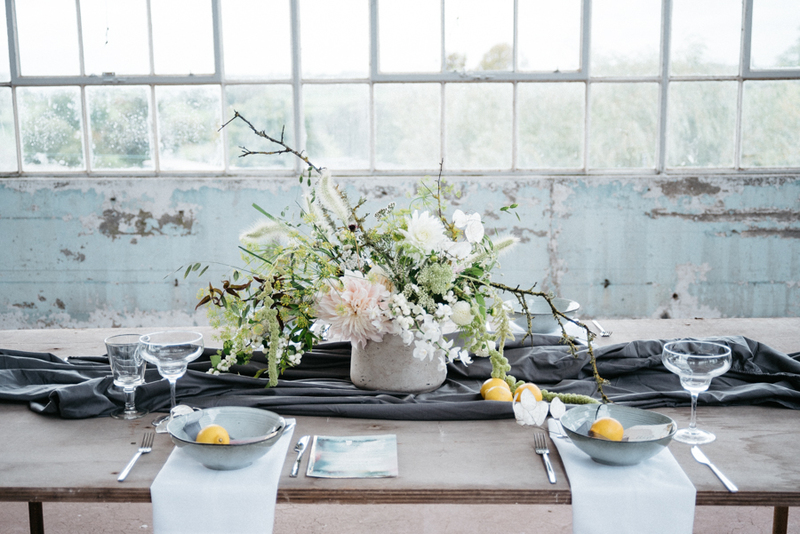 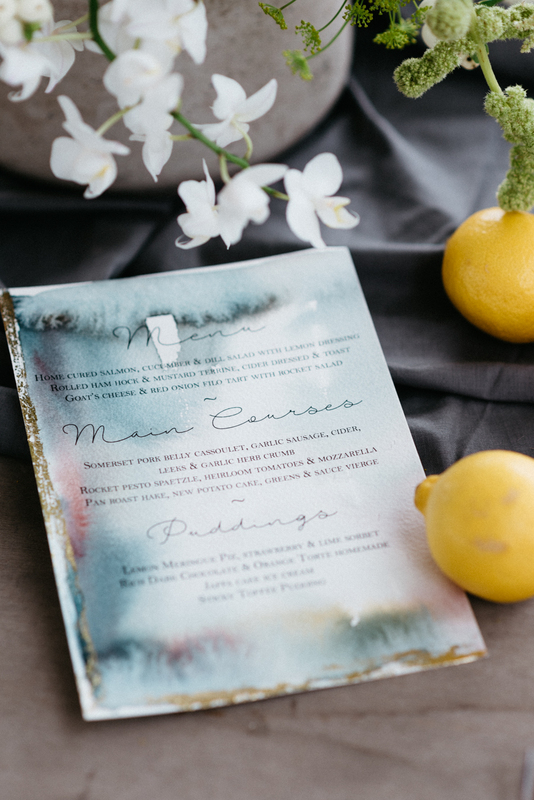 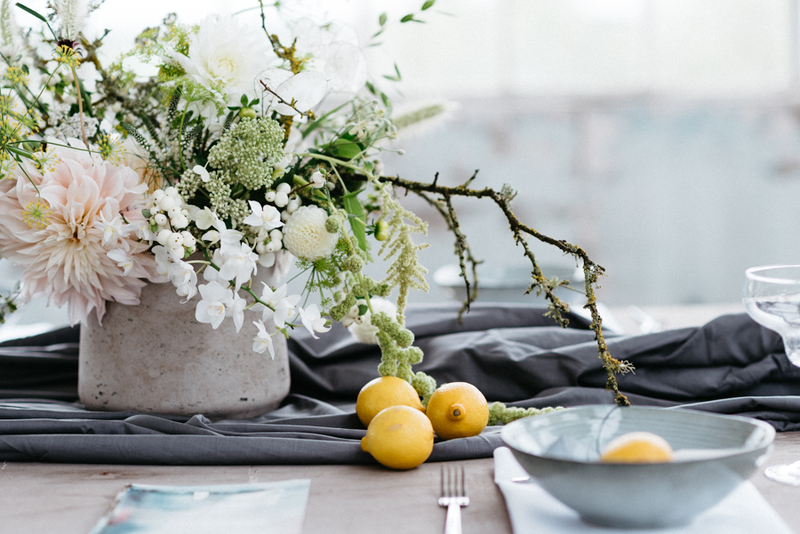 We adore the colour palette of white, the palest turquoise and blue and dashes of gold, grey and lemon. 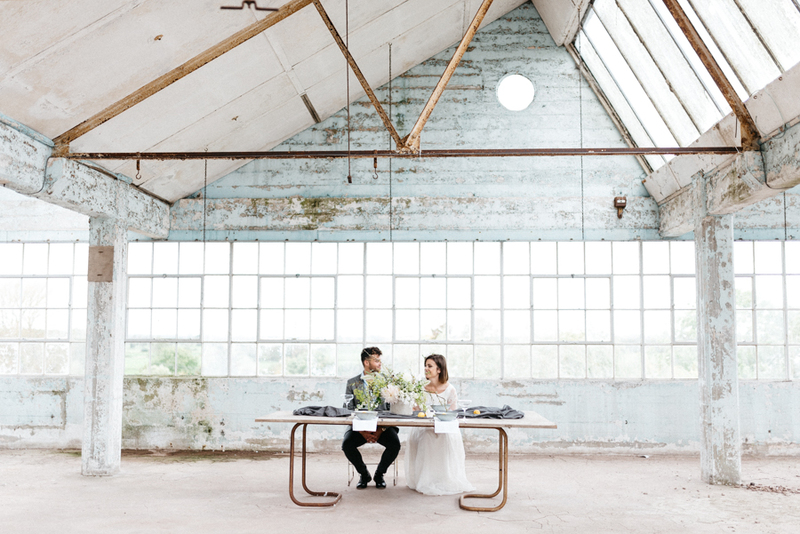 It’s chic, leans towards the more minimalist and simplistic style with details being also in the beautiful textures and patina present – from the concrete floors to paint peeling walls. 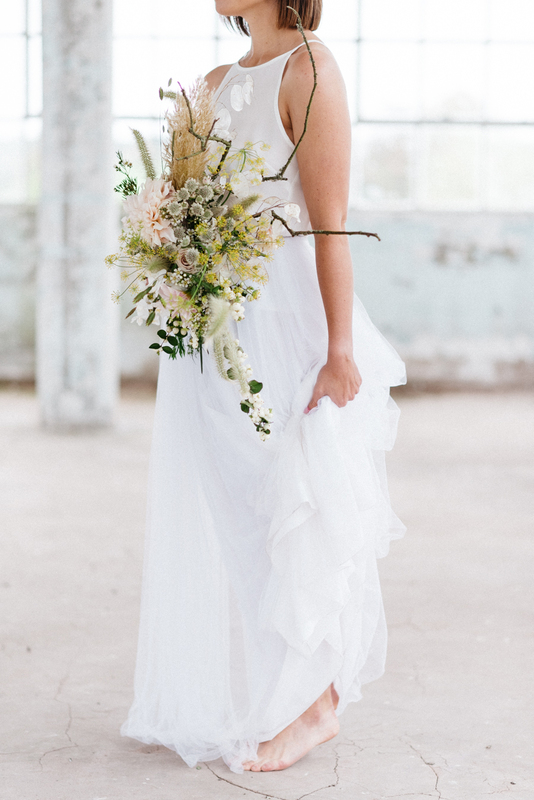 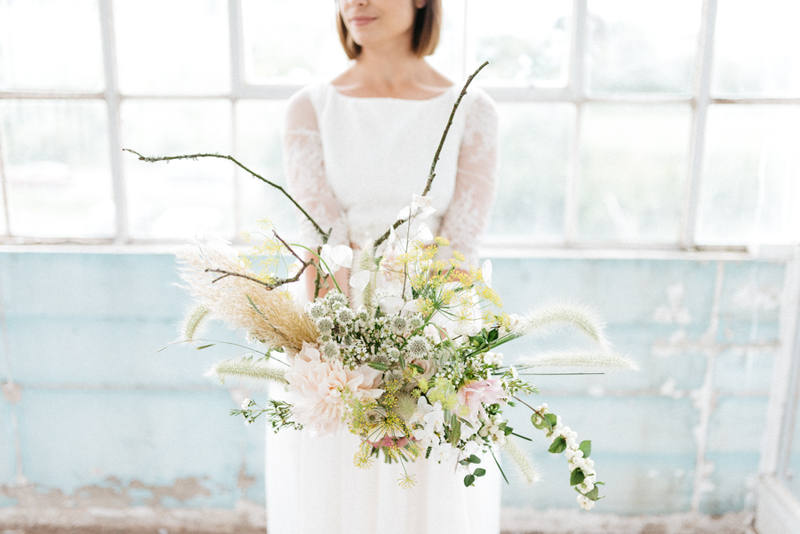 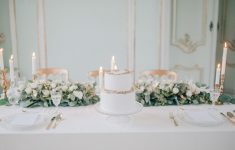 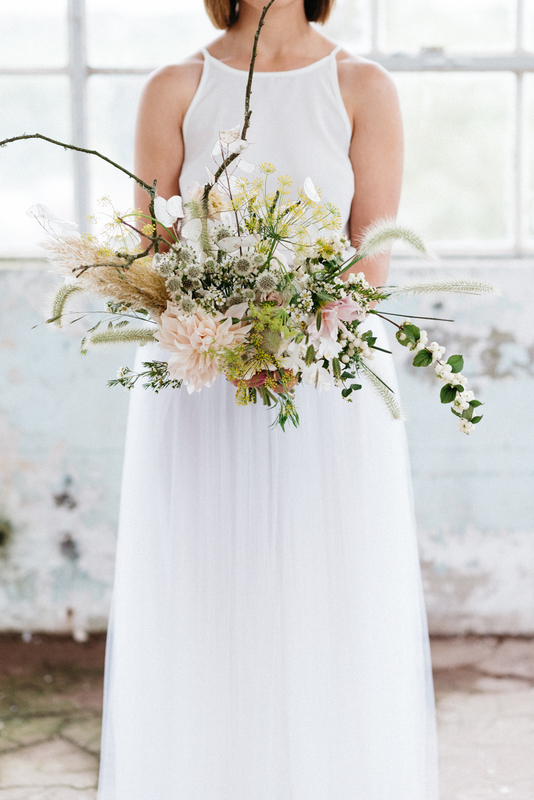 This even flows through the the contemporary floral design by Little Thatch Florist with the super on trend pampas grass, twigs and foliage mixed with flourishing dahlia and perfect little white snowberries!